That recovery is showing! Let's keep building! You also want to start thinking about starting some easy runs, if you haven't already, and some other fun more distance type activities. For this week we'll just have 2 team workout days so please keep playing! Time to start thinking about rebuilding that core! It's been a great break and hopefully it's been super fun! We don't want you to stop having fun but we'll start thinking about really starting the new season! Yay! For this week we'll just have 2 team workout days so please keep playing, the skiing is AMAZING by the way! We are on the downward slope to College & Junior Nationals!!! Coaches Christi & Rachel as well as Trevor will be headed to Krasnoyarsk, Russia for the World University Games! Something for everyone to aspire to! For the rest of the team we'll be getting ready for Nationals. Please note that at some point Maleficent will be getting the hitch put on so you may have to carpool to practice. REMINDER: We are in week 4 of the peaking program so things will change at times so pay attention and please don't start new activities. We only have 2 weeks until Nationals so it's time to continue working on staying/getting healthy, eating well, resting and focusing your energy where it is needed! Friday: Rest, recover, pack, take a nap, If you can't stand it a short, 30min, run or ski is OK.
Sunday: Ski the courses and we're off! I'd say Slay the Dragon BUT with the idea of keeping the genie in the bottle...We'll let the Dragon rest this week before the ultimate battle! We have been waiting all season for this particular skier of the week. While she has been the logical choice several times during this stellar season we were waiting for this specific moment to acknowledge her amazing accomplishements this season! Let's start with the racing. Last season at this time Kat couldn't even walk well. Running was out of the question and skiing was excruciating. We were forced to red-shirt her, not by a plan but because she simply could not race. What a difference a year makes! Kat went from being unable to complete the season to being our top UW Woman and reached 4th in the Overall Rocky Mountain Conference Rankings. Kat only missed the top 5 in one race the entire season and made the podium twice, such amazing consistency is rarely seen but she made it look easy! 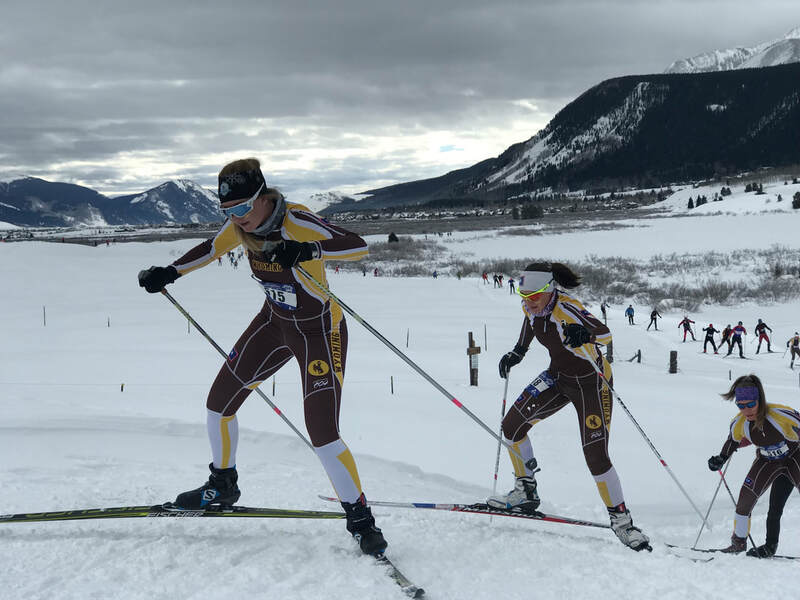 This weekend was not exception as she placed 4th in the classic race, skiing the lead leg of the Team Sprint, followed by a grueling 21km in which she was 6th. She lead the UW Women to 2nd place in the Conference and we hope to see her shine at Nationals! What lead to this weekend on skis was dedication, hard work, and grit. What lead to the race happening this weekend was even more impressive! Kat is a Outdoor Recreation and Tourism Management Major and as such she got excited in the fall about the idea of planning the Laramie Loppet. We certainly had no objections to someone taking the lead to make the race bigger and better. We had no idea the concentrated effort Kat would throw into it. In December, when we don't even remember that there IS a home race, Kat had already commissioned a new logo, created posters, and was putting them up around town at our first race! It was crazy and she continued with this planning and organization right through to the end. Kat took responsibility for buying swag, creating and hanging posters, answering questions, redesigning the webpage, updating the registration, planning food for the dinner, and about 100 other things. The result was that we made over $1000 MORE than the previous year and had some super cool socks! Kat truly stepped up for the team to help us create a truly special event and THEN she skied super fast! For all the incredible work you have done throughout the season, both on the skis and off we name you Skier of the Week! The overall winners for the Rocky Mountain Conference! Go Trevor & Silas!!! We are starting to look GREAT! What a great weekend of racing! The women kept fighting until the end and only lost to WCU by 10 points after an entire season of racing! The men pulled off an amazing feat by winning the season ranking by 1 point. What an epic battle! ​​REMINDER: We have officially started our peaking program so things will change at times so pay attention and please don't start new activities. We only have 5 weeks until Nationals so it's time to start concentrating on staying/getting healthy, eating well, resting and focusing your energy where it is needed! Tuesday: 5:10, Stadium Parking Lot - Classic, Active Recovery. PLEASE go super slow!!!! Wednesday: 4:15, Stadium Parking lot - OD Race! Thursday: 6pm, Education Gym - Yoga with Erica. Please note the time change. Dragon Slaying is going super well! 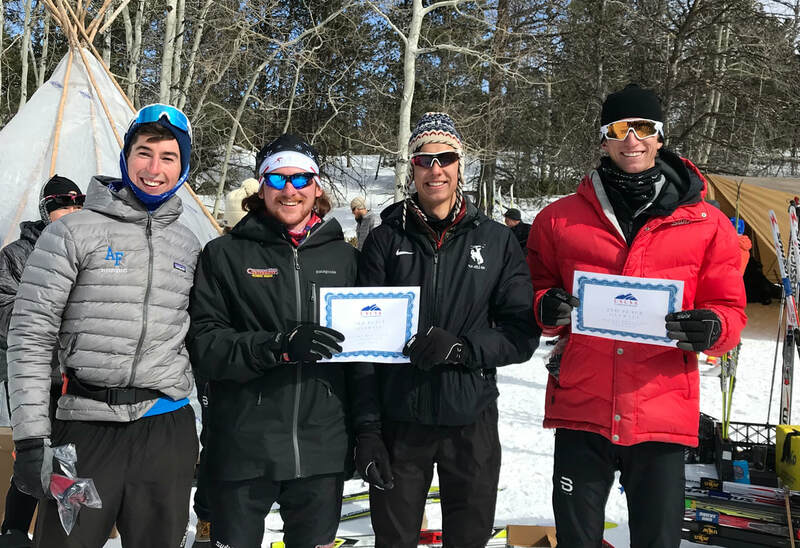 Skier of the Week - Western Colorado University! It's been an interesting year for Freshman Zoe Noble. From breaking a pole in the first race of the season to being the top woman in the Alley Loop! Struggles with illness, injury, and adjustment to college are starting to settle as Zoe is finding her stride on the team and in college racing. The Alley Loop was nothing short of inspiring as Zoe started fast, some thought maybe too fast, and just kept getting stronger as she skied. Racers from other teams didn't worry about letting her go because they were sure she would die and they would catch her. I guess they didn't know of the LONG bike ride Zoe did this summer that prepared her so well for this distance. Other skiers went from thinking she would die, to trying to hold on to just watching her power away. Zoe skied into a solid 3rd place following last seasons Rocky Mountain Conference Leader and a 2018 USCSA National Champion! Not intimidated in any way. The second day was a 6.8km classic race and Zoe stepped to the line showing a little fatigue but it was hard to tell as she once again powered around the course to her best classic place and points. She seems to be on a roll. She'll be racing hard to equal her placing in the 21km this weekend and also see what she can do in a classic team sprint. and we're all excited to see what she can do now that she knows she can ski a 21km! In addition to crushing the trails the past weekend Zoe is a leader by example on the team as she continues to show incredible dedication at practice, fundraising and in the classroom. Skiing with such poise, strength, and endurance as a freshman is rare but Zoe just keeps improving. We're looking forward to our home race and the rest of the season! Training 2/11 - Peaking Week 2! ARE YOUR READY TO ROCK!!! It's time for the home race!!!! You main focus this week should be racing but there are several around the edges things that we will need help with so be sure to watch for information and jobs. If you are not racing/don't want to race this weekend be sure to let us know so we can get your help. NOTE: Please stop morning strength this week. Dragon Slayage needs to be BIG on this weekend! Want a good showing in the home race!!!! 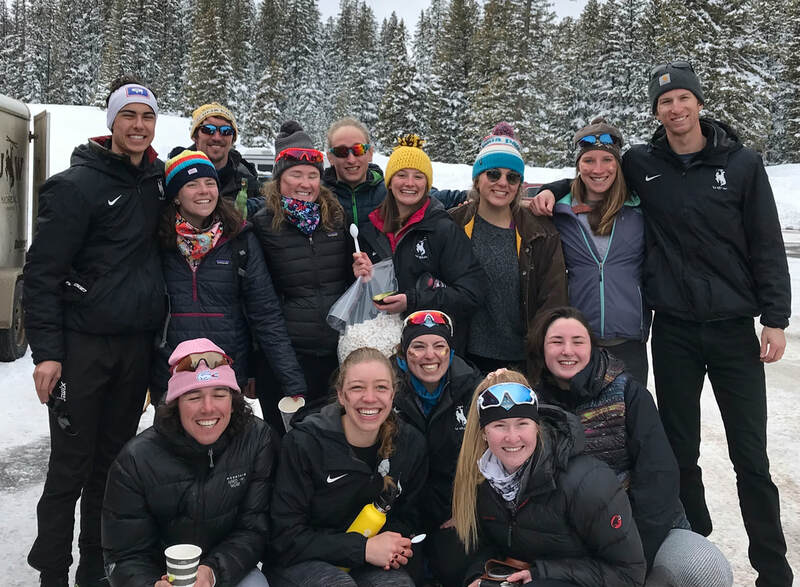 Training 1/28 - Alley Loop and Western Colorado University Invitational! Happy after a successful weekend of racing AND a visit to the Boggs's Snack Wagon! Awesome weekend with our friends at CMU, now ready to head to visit with Western! For our college athletes it is the first week of class and we're adjusting our training a tad to accommodate this portion of our team. Please note the changes and we'll see you out there!